Blue Line Knee Support 7mm – for strong support. This 7mm thick knee support offers powerful stabilization and support, allowing you to safely maximize your heavy lifting . The support is scientifically proven to be useful for prevention and indications such as strains, wear and tear injuries and soft tissue overload. Built on a unique patent, the knee support secures a firm and anatomical fit during mobility. With a seamless back panel and anatomical construction, the support and mobility are optimized for heavy lifting. The support focuses the energy of the muscles around the knee area for controlled power and acceleration. 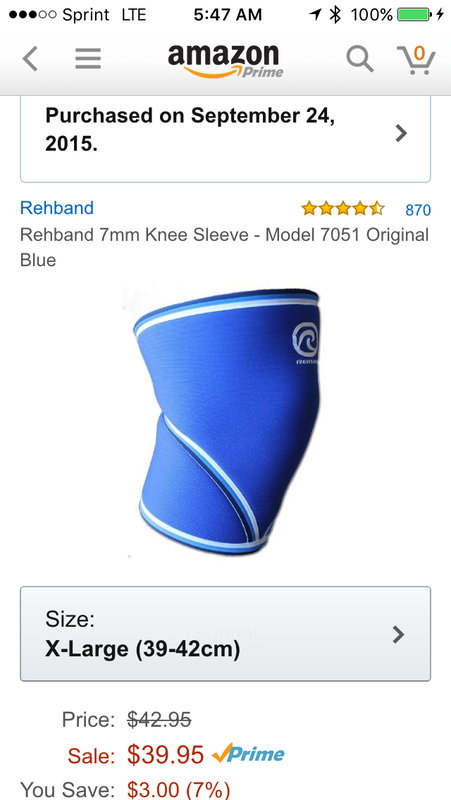 The Rehband Blue Line Knee Support is classified as a medical device. It combines the key benefits of strong stability, compression and warmth. Stability offers a mental and physical feeling of safety. Compression helps preventing injuries and increases your muscle memory of how to move correctly. Warmth protects the joints and soft tissues from injury. Enable your full potential with the Rehband Blue Line. The Rehband Blue Line is holistic with its six products. The concept is developed to serve the needs of heavy lifters and is made of strong compression, heavy-duty neoprene, constructed to ensure durability and withstand high forces and friction. The products provide exceptional safety while offering support for controlled performance and acceleration. They deliver high compression and support without compromising flexibility or mobility. The power behind the Blue line lies in an extension and evolution of the well-known Rehband portfolio which has been widely used and loved by elite athletes around the world for decades. The Rehband Blue Line is the best choice when you want powerful support to safely maximize your performance during heavy workouts. Take your performance to the next level with Rehband Blue Line. These sleeves are badass! They are perfect for anyone with knee problems that want to still work legs. I use them for all leg movements! Hack Squats, leg press, leg extensions, hamstring curls, inner/outer thighs and calves. It is true they do warm your joint fluid! I can feel the warming!! Buy a pair!! 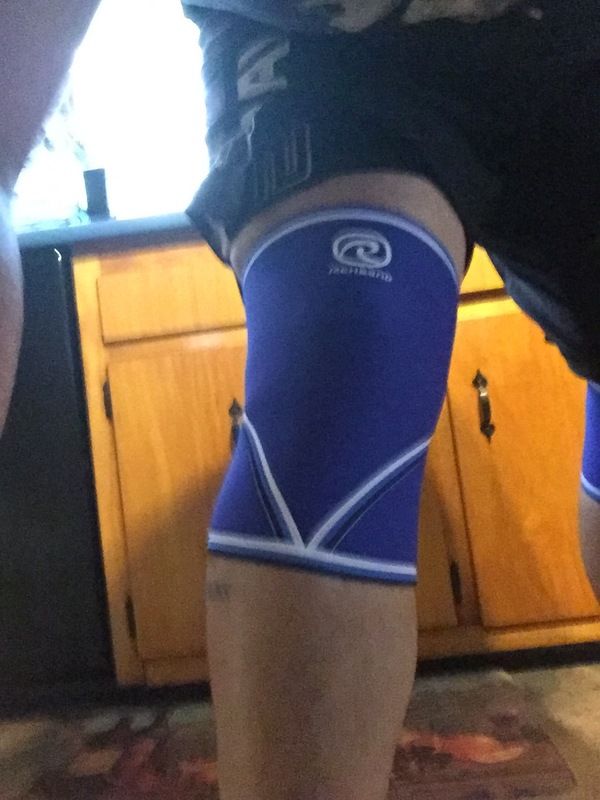 Or check out the Redline knee sleeves also reviewed here. They are both really great! Product Review: New Chipwich Flavor!